Last week the Higher Education Funding Council for England (HEFCE) finally released information on allocations for 2014/15. 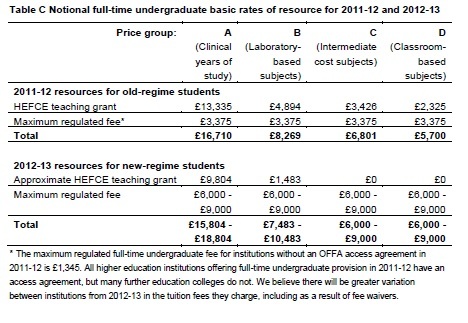 As expected, there are large cuts in recurrent grants pretty much across the board (a full table can be found here). These cuts reflect the fact that government funding for teaching in many subjects is being progressively replaced by tuition fee income in most disciplines, the prominent exception being STEM subjects, which continue to attract a (small) element of grant support in addition to the £9K fees. Grants for research are largely unchanged for the time being; the big upheaval there will happen when the outcome of the Research Excellence Framework is applied, from 2015/16 onwards. If you look at the table you will see that some big research universities have relatively small cuts, especially if they focus on STEM disciplines; the obviously example is Imperial College which has a cut of only 3%. Typical Russell Group universities seem to be getting cuts of around 15%. My own institution, the University of Sussex, has been handed a cut of 24%, which reflects the fact that a large majority (greater than 75%) of students here are doing non-science subjects. Universities with less research income and a higher concentration on Arts & Humanities subjects are having to bear cuts of up to 60%. These reductions are larger than anticipated as a result of the government’s decision to increase the total number of places by about 30,000 this year. These numbers look alarming, but in most cases, including Sussex, the net income (FEES+GRANT) will actually go up next year, as long as the institution manages to recruit a sufficient number of students. The ability of a university to generate sufficient income to cover its costs has always depended on its ability to attract students, but this has previously been managed using a student number control, effectively applying a cap on recruitment to institutions that might otherwise corner the market. This year some institutions who failed to recruit strongly have had their cap lowered, but worse is in store from 2015/16 as the cap will be lifted entirely, so that there will effectively be a free market in student recruitment. I sure I’m not the only person who thinks the likely outcome of this change will be a period of chaos during which a relatively small number of institutions will experience a bonanza while many others will struggle to survive. As if this weren’t bad enough, there is also the growing consensus that the current fee regime is unsustainable. Revised estimates now suggest that about 45% of graduates will never pay back their tuition fees anyway. If this percentage grows to about 50% – and I am very confident that it will – then the new tuition fee system will end up costing the Treasury (i.e. the taxpayer) even more than the old regime, while also saddling generations of graduates with huge debts and also effectively removing the sector from public control. Apparently, the response of the government to the level of default on repayments is to consider increasing fees to a level even higher than the current £9K per annum. It seems to me that the likely consequence of this would simply be to increase the default rate still further, largely by driving UK graduates abroad to avoid liability for paying back their loans, and thus drive the system into runaway instability. The more one looks at the fees and loans debacle the more it resembles a Ponzi scheme that’s destined to unravel with potentially catastrophic consequences for England’s universities; note that Wales, Northern Ireland and Scotland are not covered by HEFCE arrangements. I’ll assume at the outset that the only really sensible plan – taking the entire system back under public control – is, by the very nature of the British political system, unthinkable. My first suggestion reflects the fact that I am a scientist and that I think science education and research properly should be a very high priority for any system of university funding. Whatever is done therefore must address the point I made a post about the threat to STEM subjects presented by HEFCE’s policies the essence of which is that the £9K flat-rate fee across all disciplines does not reflect the true difference in cost of teaching between, say, English and Physics. 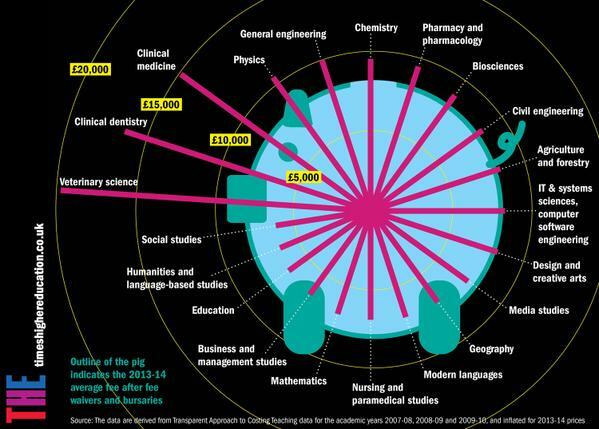 Differential fees would have a disastrous effect on recruitment into science subjects while the current system underfunds STEM disciplines so severely that it offers a perverse incentive for universities to focus on non-science areas. Under the current system, fees from Arts disciplines are effectively subsidizing science subjects rather than providing education to those paying the fees; in other words, Arts students are being ripped off. Second, if the taxpayer is going to foot a significant part of the bill for higher education then HEFCE (or whatever organization replaces it in future) must have sufficient clout to manage the sector for the public interest, rather than allow it to be pulled apart by the unfettered application of market forces. 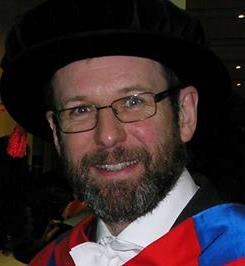 Third, any new system must be designed to reduce the level of graduate debt which, as I’ve mentioned already, simply encourages our brightest graduates to emigrate once they’ve obtained their degree. I’ve actually never really been opposed to the principle that students who can afford to should contribute at some level to the cost of their education; I have, on the other hand, always been opposed to fees being set at the level of £9K per year. The Labour Party’s suggestion that fees should be cut to £6K would go some of the way to satisfying the third requirement, but would be disastrous unless the cut were offset by increased state funding through recurrent grants. I think a better suggestion would be to cut fees by a greater amount than that if possible, but to have a much bigger differentiation in the unit of resource paid to different subjects. I’d say that the net income per student should be about £15K per annum in STEM subjects, whereas for Arts and Social Sciences £6K probably covers the full cost of tuition. So if the fee is set at £X across the board, STEM disciplines should receive £(15-X) from HEFCE while Arts subjects get a subsidy of £(6-X). About a week ago I posted an item arguing that the current system of higher education funding is detrimental to the health of STEM disciplines (i.e. Science, Technology, Engineering and Mathematics). The main reason for this is that present funding arrangements fail to address the real difference in cost of degree courses in various disciplines: the income to a University for a student doing Physics is about £10.5K whereas for a student doing, say, English it is £9K. I would estimate the extra cost for the former corresponds to at least a factor two and probably more. That’s partly because Physics requires laboratory space and equipment (and related technical support) that English does not, but also because Physics students receive many more contact hours with academic staff. The issue is just as much about arts students being ripped off (as they undoubtedly are being) as it is a strategic failure to protect the sciences. The problem is that the Council responsible for distributing funding (HEFCE) is strapped for cash, so is unable to fund STEM disciplines at the higher level of resource that it used to. Since the government has decided, in its (finite) wisdom, to transfer most of the cost of higher education to the students, HEFCE can now exert very little influence on how universities plan their portfolio of courses. Since it is a lot cheaper and easier to expand capacity in Arts & Social Sciences faculties than in the more expensive STEM disciplines, this is an incentive for Universities to turn away from the Sciences. Given our economic predicament this policy is simply perverse. We need more scientists and engineers, not fewer. This morning I read an article in the Times Higher about the present £9K tuition fee cap. Not surprisingly the Russell Group of self-styled “elite” Universities wants it lifted, presumably so its Vice-Chancellors can receive even bigger pay rises. But that’s not the point. The article made me think of a cunning (or perhaps daft) plan, which I’m floating here with the prediction that people will shoot it down through the comments box. Now before I go on, I just want to make it clear that I’m not – and never have been – in favour of the present funding system. I don’t object to the principle that students who can afford to should contribute to the cost of higher education, but the arrangements we’re stuck with are indefensible and I don’t think they will last long into the next Parliament. It’s telling that, only a decade after introducing tuition fees, Germany is now scrapping them. I’d prefer a hybdrid system in which the taxpayer funds scholarships for STEM disciplines and other strategically important areas, while leaving universities to charge fees for other disciplines. However, since we’ve been lumbered with a silly system, it’s worth exploring what might be achieved by working within it. There doesn’t seem to be much creative thinking going on in the coalition, and the Labour Party just says it would reduce the fee cap to £6K which would squeeze all academic disciplines equally, without doing anything about the anomalies mentioned above. My idea is quite simple. I propose that universities be entitled to lift their fee levels for STEM subjects by an amount X, provide that they reduce the fees for Arts and Social Sciences students by the same amount. The current fee level is £9K for all disciplines, so an example might be for STEM subjects to charge £12K while A&SS (if you pardon the abbreviation) get £6K. That would achieve the factor of two differential I mentioned above. The biggest potential flaw is that increasing the cost to STEM students would put them off. There’s simply no data on which to base an argument as to whether this would be the case or not. I suspect however that a difference in price would be perceived by many as a difference in value. Anyway, it’s just an idea. That’s what blogs are for. Thinking out loud as it were. Feel free to object.. I don’t mind admitting that I’m a bit down today. Being stuck at home with a fever and sore throat, and with mounting backlog of things to do isn’t helping my mood. On top of that I’ve got a general sense of depression about the future. On the one hand there’s the prospect of huge increases in tuition fees for students, the motivation for many demonstrations all around the country (including an occupation here at Cardiff). I have to admit I’m firmly on the side of the students. It seems to me that what is happening is that whereas we used to finance our national gluttony by borrowing on over-valued property prices, we’ve now decided to borrow instead from the young, forcing them to pay for what we got for free instead of paying for it ourselves; it’s no wonder they’re angry. Call me old-fashioned, but I think universities should be funded out of general taxation. How many universities, and what courses, are different questions and I suspect I differ from the younger generation on the answers. The other depressing thing relates to the other side of academic life, research. The tide of managerialism looks like sweeping away every last vestige of true originality in scientific research, in a drive for greater “efficiency”. I’ve already blogged about how the Science & Technology Facilities Council (STFC) is introducing a new system for grants which will make it impossible for individual researchers with good ideas to get money to start new research projects. Now it seems the Engineering and Physical Sciences Research Council (EPSRC) is going to go down the same road. It looks likely that in future only large-scale, low-risk research done in big consortia will be funded. Bandwagons are in; creativity is out. Improving “efficiency” sounds like a good idea, but efficiency of what? These plans may reduce the cost of administering research grants, but they won’t do anything to increase the rate of scientific progress. Still, scientific progress can’t be entered easily on a spreadsheet so I suppose in this day and age that means it doesn’t matter. A spokeswoman for the Science and Technology Facilities Council also cited stability and flexibility as the main rationales for merging its grants programmes into one “consolidated grant”, a move announced earlier this month. It looks like STFC has seconded someone from the Ministry of Truth. The change to STFC’s grant system is in fact driven by two factors. One is to save money, which is what they’ve been told to do so no criticism there. The other is that the costly fiasco that is the new RCUK Shared Services Centre was so badly conceived that it has a grant system that is unable to adminster 5-year rolling grants of the type we have been used to having in astronomy. On top of that, research grants will last only 3 years (as opposed to the previous 5-year duration). There’s a typically Orwellian inversion going on in our spokesperson’s comment: for “stability and flexibility”, read “instability and inflexibility”. We’re not children. We all know that times are tough, but we could do with a bit less spin and a bit more honesty from the people ruining running British science. Still, I’m sure the resident spin doctors at STFC are “efficient”, and these days that’s all that matters. The following excerpt from Wordsworth’s The Excursion pretty much sums it up. Seeks, yet can nowhere find, the light of truth.